I have dark chocolate hair at the moment, and I do love it. I'm always gaining inspo from other ladies who rock short bangs with dark hair and I love how that looks. My hair grows reasonably fast so I need regular fringe trims. As well as that, my natural hair colour pokes through at my roots, a colour that I all but forget about. My natural hair colour is a very light brown. My hairdresser was surprised at how light my roots were, and asked me if I've ever considered going lighter for an all over colour. Which astonishingly I actually haven't. I've always only gone darker, except for my Balayage days where I had blonde tips. Anyway my hairdresser Chantelle suggested that I could try a copper colour, as it would work well with my skintone, and I also thought maybe I could rock my natural hair colour once more. So in between cuts, i'm going to save my money and pin a whole lot of hair inspiration to see what I would like the best for me! I was a bit unsure of copper when it was first suggested to me. But the most pictures I looked at the more I liked it. While I've definitely warmed up to it. I still don't know if copper is the right colour for me and if I could handle the upkeep. I'm really digging this colour, and it's a bit funny to think that this is what my hair may have originally looked like. The top left and bottom right are probably the right amount of light ashy brown that I'm looking for. The other two might be more what my hair looks like but I think I would like to go with a more ashy tone if I dyed my hair again. I guess I'll just keep pinteresting until I make up my mind! You can follow my Hairstyle Pin board here. I naturally have light ash brown hair but I've been dyeing my hair copper forever and I LOVE it. If you're never had red hair before you should give it a shot! It's such a fun look! I've been thinking of going a light red but couldn't figure out what colour to ask for. Now I'm gonna go pinning some copper, coz its gorgeous! 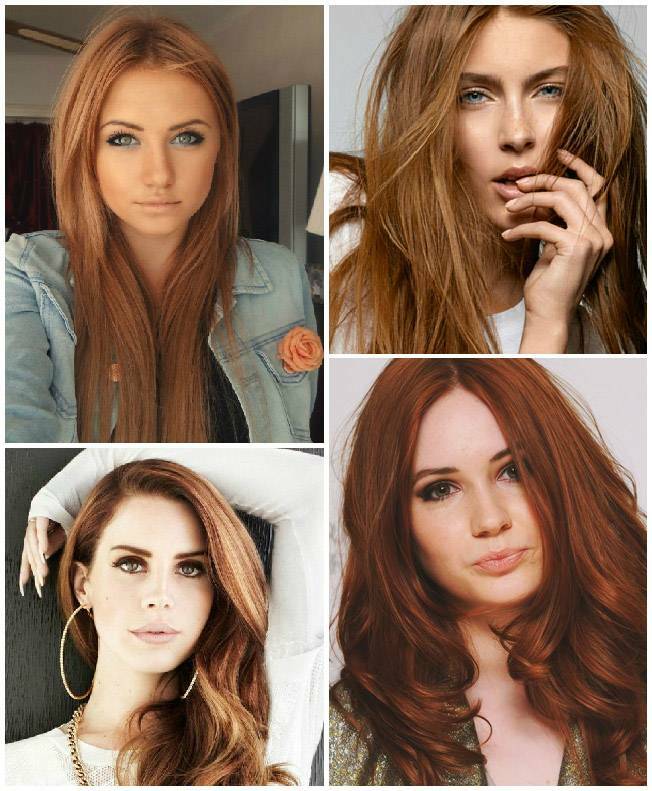 Karen Gillan (4)'s copper colour is beautiful. If my hair was long, I'd go for that! And actually 4 in the ashy brunette! It looks like it has slight grey undertones in it which is AWESOME. Ive been bleaching my hair blonde for years but I'm naturally a dark/mid brown. I had it a very bright copper red a few years ago which I absolutely LOVED but the upkeep is difficult, not to mention how much red clings to your hair afterwards, took me ages to get rid of it, which is the only reason I haven't gone back to it. I had an ombré last week for the first time, with the top matching my natural colour and blonde mid lengths, love it! I stripped the colour from my hair mid last year as I was always going dark over dark and never really achieving the "lighter" colour I was always trying to achieve. My hairdresser finally suggested stripping all the years of dye from my hair would help me achieve a lighter colour without bleach and when he stripped it I was so shocked to see the colour I always wanted was hiding underneath. My natural locks were rather close to what I was after! Now we go to a close warm tone each time I dye (to cover the greys) and after a few weeks it fades to an awesome colour. Definitely invest in it! My hair is one thing I always find a way to budget for because it's my favorite feature. And if you don't like it, you can always go back darker! I have always wanted to die my hair but I know I will never go through with it hahaha, but I adore the copper tones!! But I am leaning towards that ash brunette. Also, when I need another hair cut I am coming to you for a recommendation. I have only been getting my hair cut in America but I know that's going to have to change eventually. You rock the short bangs look so well! You'd look great with both colors. Maybe you could go copper first, then transition to ash brunette! Ash Brunette would look amazing with your skin tone! I personally love copper/ red tones and I think they're so beautiful and compliment fair skin well!